If I can do it, you can do it too! Send a pic when you’re done! True, you did babysit for at least 10 minutes. I have a pine staircase! 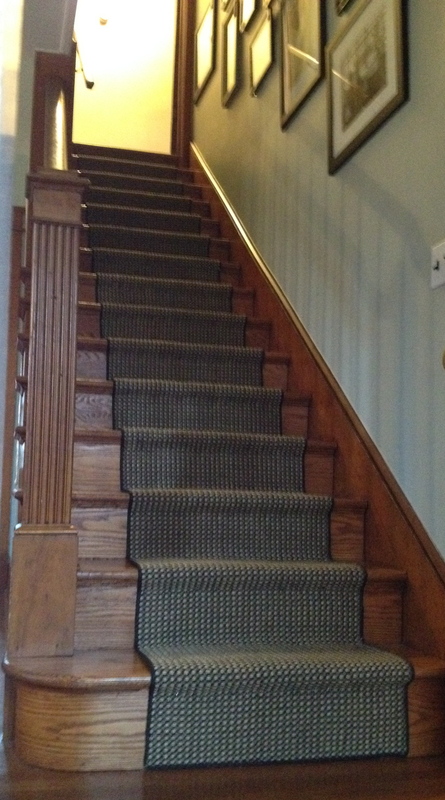 I love the look of the runner, and I’d like to have the same look in our farmhouse. 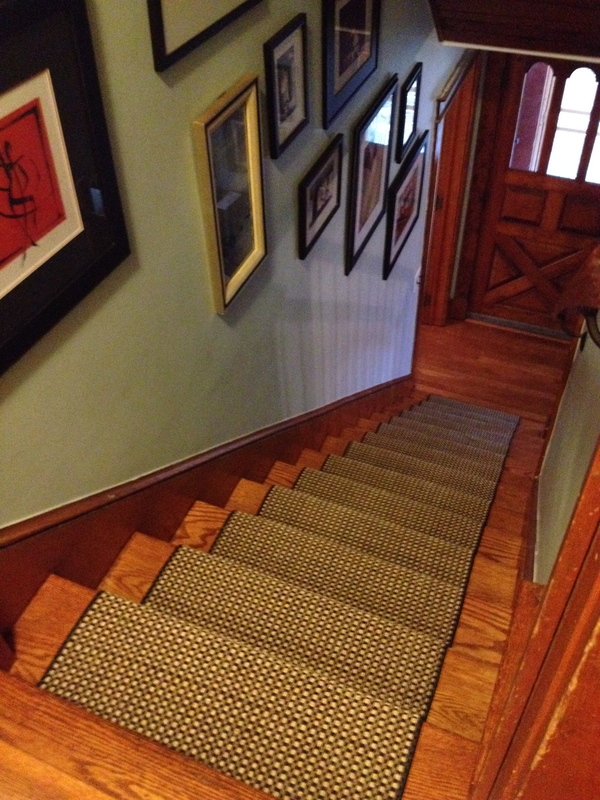 I am worried about the durability of seagrass on the stairs. Any thoughts about that? Hi Gail, thanks for stopping by. It looks just as good as the day I installed it. 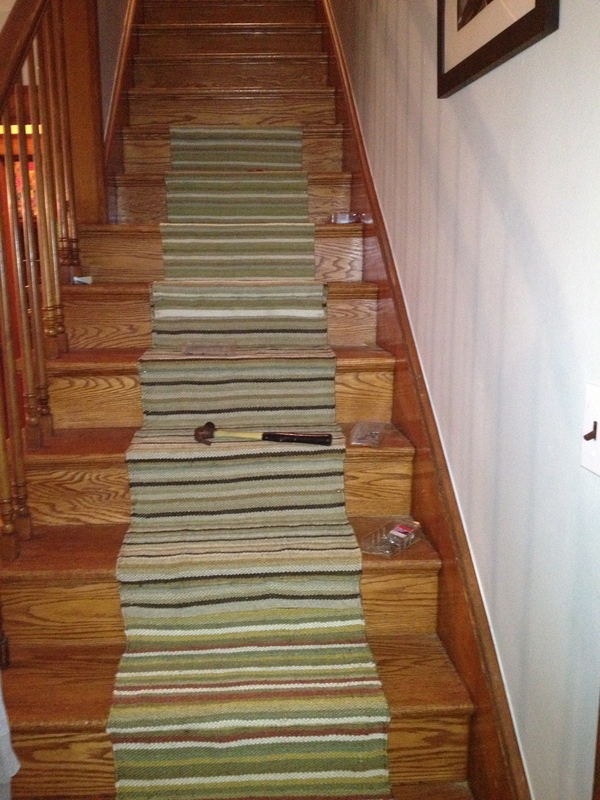 I have 3 kids and a dog and the sisal has held up well. It was a little over two years ago. Hi Mariam, I’m poised to do this on Saturday! Very excited/nervous. Just wondering about the carpet grip pads are totally necessary. 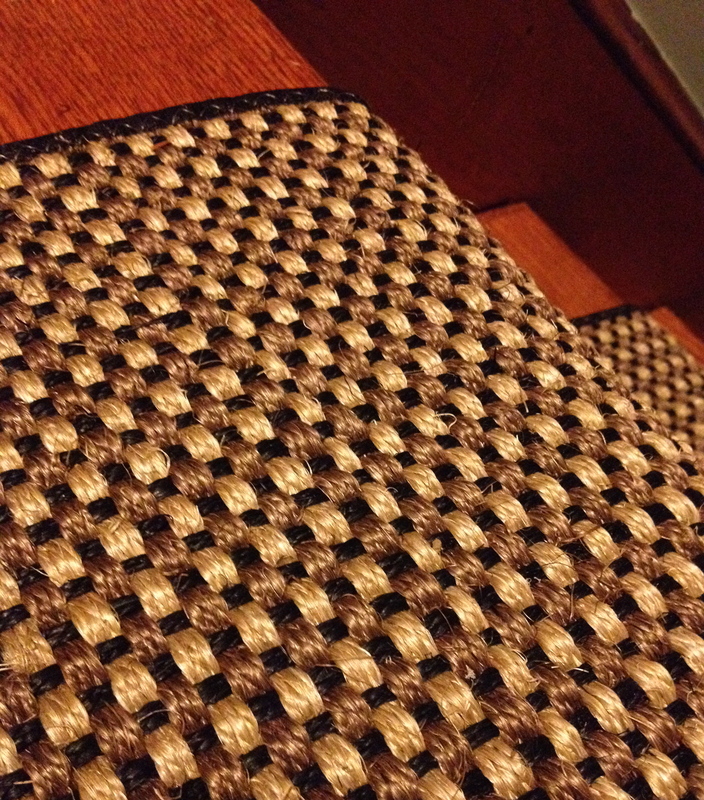 I have a sisal rug with a decent rubber coating. It’s going on a varnished pine staircase. Thanks! Marley. Congratulations! This is exciting and I hope you are able to send some pictures of your finished project. 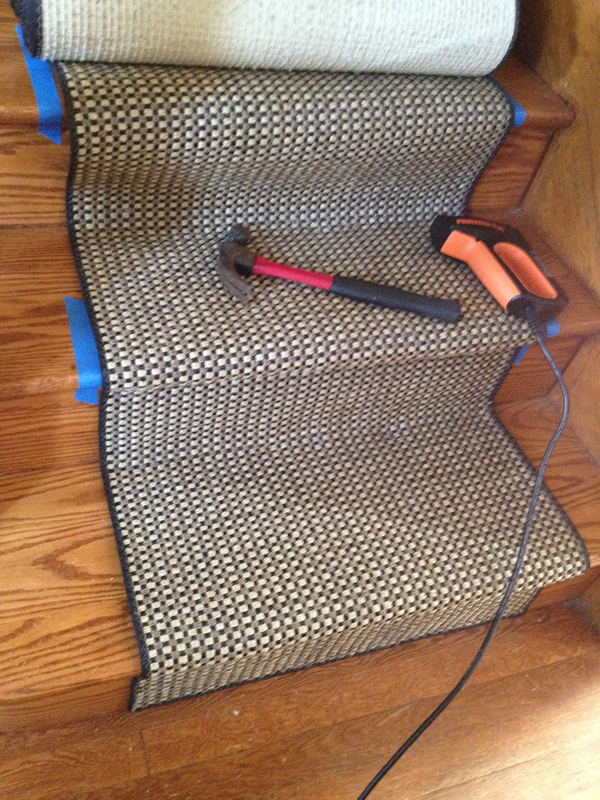 I would go ahead and use the pads- they are not bulky (I used the carpet grips with the holes, not felt) and they add enough cushion to dampen the sound of feet running up and down. 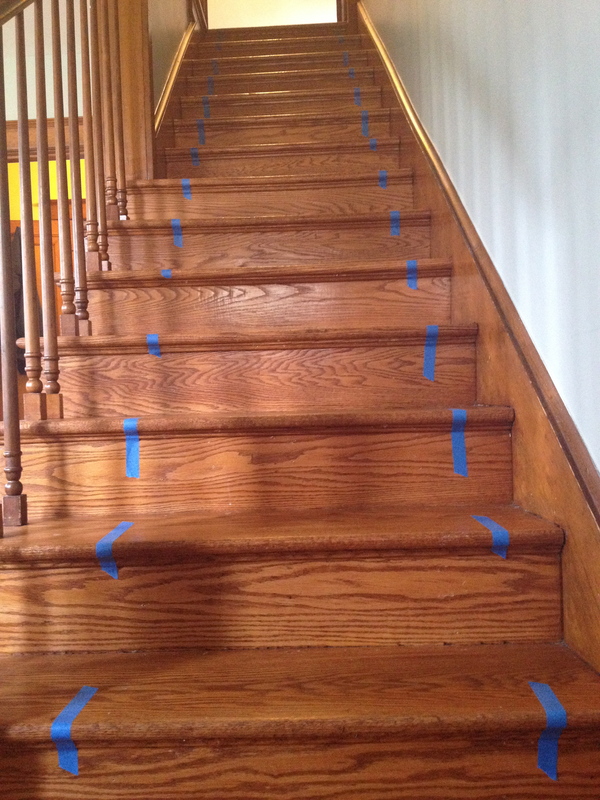 They might also help protect the finish on your stairs where the rubber might stick to it over time. But of course whatever you decide, please let us know how it turns out. 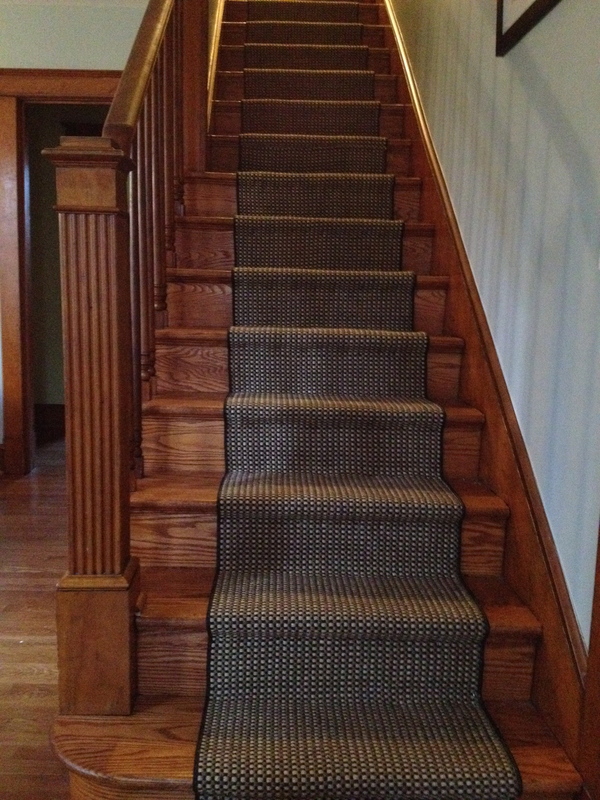 Here’s a picture or two of our sisal runner – it’s only been a few weeks but so far so sturdy! Thanks again for providing such a useful DIY guide. Your runner looks great, but I feel like I still don’t know what to do after reading this tutorial. Especially with regards to the grip pads. Are they needed? Why? How did you attach them? Do they need to wrap around the stair nose? 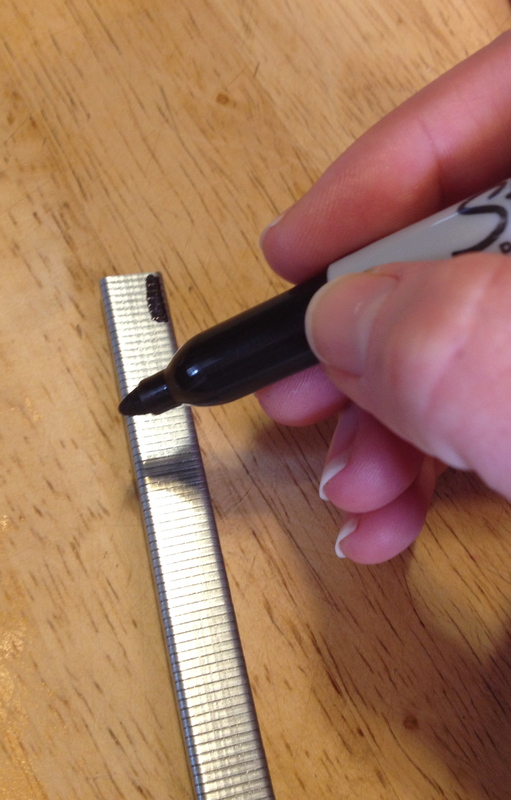 Why colour the staples black? Hi Kathryn- thanks for stopping by my site. 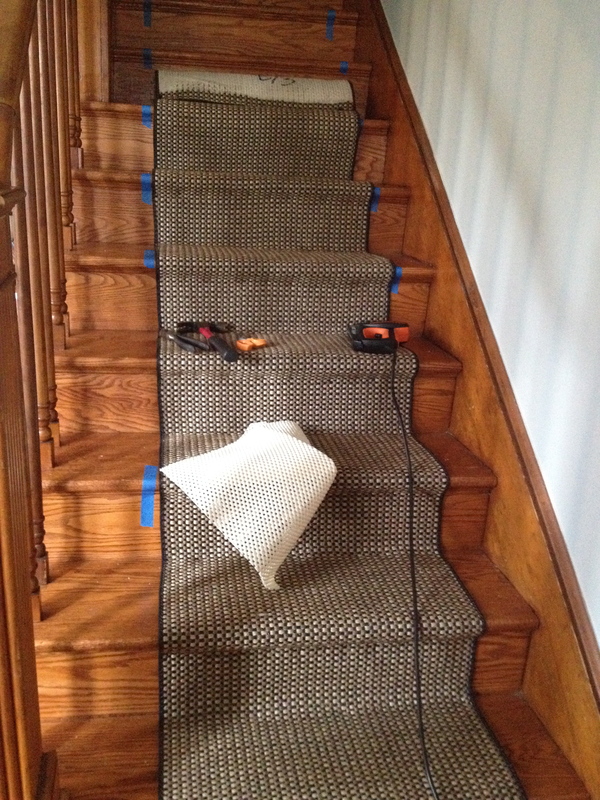 I colored the staples black because my rug was a black and natural weave and so the staples would not show. 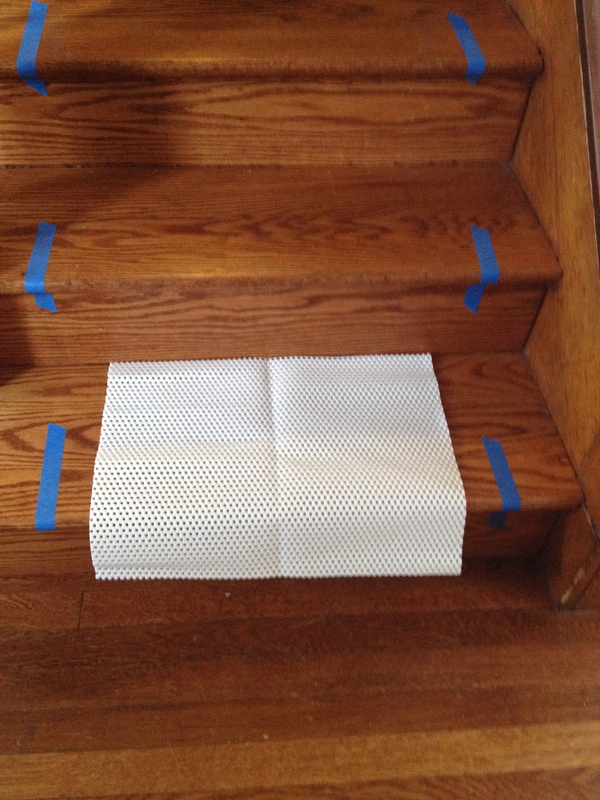 The grip pads were cut for each step and wrapped over the bullnose. The reason I used the grip pads was to protect the wood, add some cushioning for both padding and to dampen the sound. I didn’t do anything extra to attach the grip pads, just stapled through the carpet and the pad together. I hope this helps and good luck with your project!